We introduce to you our top four ice cream sandwiches that are anything but vanilla. In honor of National Ice Cream Sandwich Day on Thursday, we celebrate all things ice cream in a very fun, flavorful, and DIY way. Simply grab whatever ingredients and toppings you have right at home or journey to your local grocery store to select cookies, toppings and ice cream flavors to satisfy your tummy's sweet cravings. For mint and green tea lovers, this cream's meant for you. 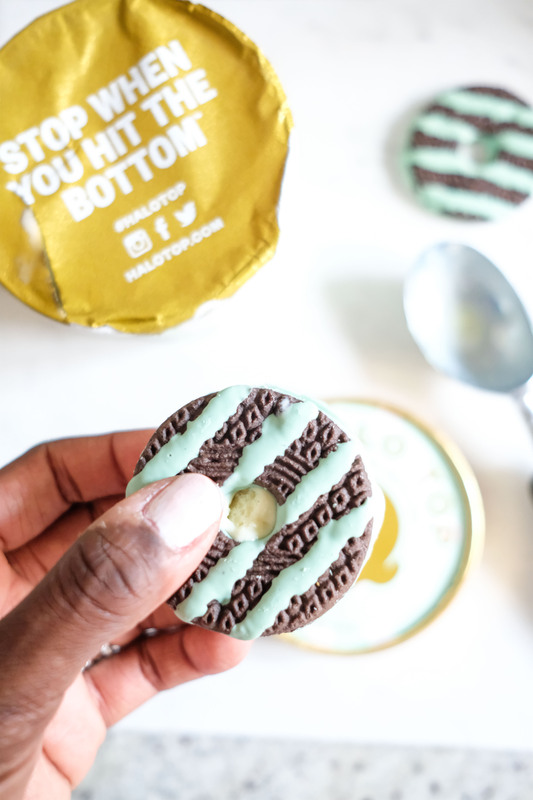 We paired Keebler's mint chocolate chip cookies and Halo Top's Mochi Green Tea ice cream to make this delicious, minty delight. What adds an extra "cherry" on top? This ice cream brand is low in calories but high in flavor. Calling all coffee connoisseurs. 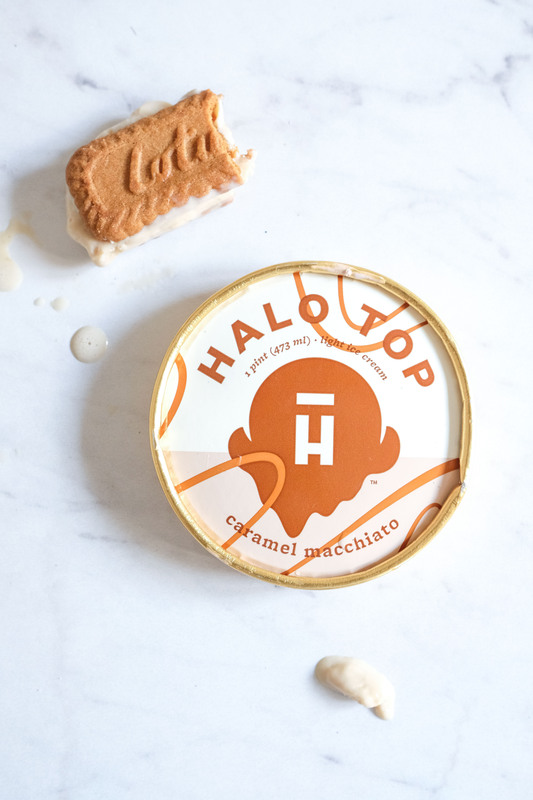 Couple Halo Top's Caramel Macchiato ice cream and Lotus' Biscoff cookies for this rich, savory treat. Many of you may already be familiar with this favorite cookie as it made its debut to America as in-flight treats. Who says you can't eat ice cream for breakfast? This sandwich brings you a little dose of caffeine and a whole lot of happy. Everyone can indulge! For families with little ones or those desiring to partake in a healthier diet, here's an ice cream pleasure with less sugar and calories. Combine any vanilla bean ice cream with graham crackers. Ta-da, now you and your little ones can ooh and aah over this sandwich. Remember Whoppers? Well, grab a few of these malted milk balls. Hammer the Whoppers and mix into vanilla bean ice cream. Next, dollop the malted mix onto a Lotus Biscoff cookie, Chocolate Chip cookie, other desired cookie for a mouth-watering treat that you'll want to have in your hands. Other ice cream flavors and ingredients that would pair nicely as a delectable ice cream sandwich include cookies and cream ice cream. Enlightened, a newer ice cream brand, offers a high protein, low-sugar option at only 80 calories per serving. Ginger cookies with any ice cream flavor would be scrumptious. A traditional, but well-loved butter pecan flavor could align itself very well with a macadamia nut cookie, pound cake or brownie. Any flavor combination of Pop Tarts and ice cream could be a little dangerous, but could be well worth the gamble. These DIY ice cream sandwiches are fun and memorable to do with family, friends, neighbors and even co-workers. Don't let National Ice Cream Sandwich Day be the only time you try these delicacies. Treat yourself to something a little sweet throughout the year! Carla Williams is an ABC11 Influencer. Read more of her work on her blog here.